William E. Connolly is a political theorist known for his work on democracy and pluralism and Krieger-Eisenhower Professor of Political Science at Johns Hopkins University. His book ‘The Terms of Political Discourse’ won various awards in 1999, and is widely held to be a major work in political theory. Connolly is also a contributing writer to The Huffington Post and a founding member of the journal Theory & Event. Connolly’s recent turn towards philosophies of ‘immanence’ and creative process will be on full display is his forthcoming A World of Becoming (2010). More here. Mark Wenman is a Lecturer in political theory in the School of Politics and International Relations and Associate Dean in the Faculty of Social Sciences. He is a Fellow of the Centre for the Study of Social and Global Justice (CSSGJ), and a member of The Analysis of Democratic Cultures Research Group.He completed his Ph.D. in the Ideology and Discourse Analysis Programme at the University of Essex in 2005, and before that he was educated at Birkbeck College (London), the University of Westminster, and Christ’s Hospital. MARK WENMAN: Bill, thank you for agreeing to this interview. I would like to take up some of the themes we discussed when you visited Nottingham in 2007.1 Perhaps I can start by asking you questions about the development of your work and about how you see the different elements of your project fitting together. I will then move onto questions about your theory of ‘immanent naturalism’, and also your recent work on capitalism. For a period of more than 30 years you have made important contributions to the discipline of political theory, you have engaged in many different debates, and — since the publication of Identity/Difference (Connolly, 1991) — you have developed your own distinctive ‘post-Nietzschean’ account of late-modern politics. One theme you have returned to repeatedly in your writings is the concept of ‘pluralism’. This has been of interest to you since your earliest publications — for instance The Bias of Pluralism (Connolly, ed., 1969) — and since the mid-1990s you have established your own account of ‘multi-dimensional’ or ‘network pluralism’: most notably in the Ethos of Pluralisation (Connolly, 1995) and Pluralism (Connolly, 2005). Over this period, the concept of pluralism has also undergone a remarkable series of developments in Anglo-American political thought more generally. In the late 1960s this term was associated with American political science, with the work of Robert Dahl, David Truman and others who were criticized by radical thinkers — including you — for their narrow conception of the political and their naive behaviouralist assumptions about the operations of political power. Subsequently, this term has undergone a renaissance, so that it is now used widely — and in a positive manner — by analytical liberals, deliberative democrats, and by those — such as you — who are inspired by post-structuralism. This development is surely related to the rise of identity politics and multiculturalism, as John Rawls would have it: we now live in a society defined by the ‘fact of pluralism’. However, we know from Friedrich Nietzsche that there is no such thing as facts, only interpretations, so could you please say something about your distinctive understanding of ‘pluralism’ and how it differs from these other approaches? What exactly is pluralism? And to what extent do contemporary liberal democratic societies approximate the ideal of pluralism? How have your thoughts changed on these issues over the past 30 years? WILLIAM CONNOLLY: My thinking about pluralism has, as you say, shifted over the years, as I have encountered new events and have moved through intellectual encounters with Hegel, Marx, Wittgenstein, Taylor, and Hampshire to those with Foucault, Nietzsche, Deleuze and James. Early on, I sought to show how ‘the fact’ of pluralism was exaggerated and how this exaggeration also served to obscure inequality. Most pluralist theory focused on a diversity of interests brought to the ‘governmental arena’. It seemed to me that when the independent power of corporations and other elites to shape the world was combined with their governmental power to veto policies that might rectify the adverse effects of those initiatives, the stratification of power became more transparent. I was also concerned, along with Peter Bachrach and Steven Lukes, with the ‘other face’ of power ignored by pluralist theorists of the day, power as the ability to stop potential issues from achieving sufficient definition to reach the public arena for decision. It soon became clear to me that these concerns suggested a significant revision of democratic pluralism rather than its replacement. The rise of gay rights movements in the 1970s helped to prod me to dramatize how resistance to diversity flows from the visceral register of presumptive judgment into more refined modes of argument. To me, pluralism includes several dimensions. First, a pluralistic society is not merely one with multiple interests. It is multidimensional, involving diversity in the domains of creed, sensual disposition, gender practice, household organization, ethnic identification, first language, and fundamental existential orientations. The activation of multidimensional pluralism helps to open up public arenas and to ventilate the internal life of numerous organizations. Gays bring pressures to bear upon their churches; church activists apply it to their work place; feminists bring it to bear upon both, and so on. Second, a pluralistic society is marked by recurrent tension between already existing diversity and new movements that press upon this or that established assumption about God, freedom, identity, legitimacy, rights, and the nation. This torsion between the politics of pluralism and that of pluralization is constitutive. Those who think we already have access to a definitive list of rights, for instance, miss how new rights periodically surge into being through a complex political process. The right to sexual diversity, to gay marriage, and to doctor assisted suicide, precarious as each is, were not even on the liberal list of rights a few decades ago. Drives to install them were launched below the register of legitimacy. One could pretend they were ‘implicit’, but to me such an assertion insinuates more logic into social and political processes than their real messiness allows. Movements of this type uncover power sedimented into established practices of identity, rights, and creed. Such an insight eventually invites you to rethink the logic of morality itself, perhaps supporting a shift from a fixed morality of principle, replete with previously unstated ‘implications’, toward an ethic of cultivation as you become alert to new forces arising in the world. Third, attention to the first two dimensions pressed me to come to terms with the need for a positive ‘ethos of engagement’ between diverse, interdependent constituencies. This is particularly pertinent to a world in which the secular separation between private and public is exaggerated and secular proceduralism is insufficient to itself. Such an ethos solicits participants to recoil back upon their most fundamental creeds or philosophies — the two terms now move close together for me — to affirm without existential resentment the profound contestability of each in the eyes of others. Many priests, theorists, philosophers, economists, and media talking heads find this difficult to do. Such a bicameral orientation to citizenship is fundamental to the politics of pluralism. It is more difficult in circumstances where numerous forces press militantly against pluralism itself. Thus, the other side of the theory is that many of the same forces that create opportunities to extend and heighten pluralism today also intensify the anxieties of those who resent the presence of living counter-examples to their own identities, faiths and household practices. Today pressures to pluralize and to fundamentalize the present encounter each other. This is a struggle that goes on within as well as between us. Those are some elements in my rendering of pluralism. I should say that I also believe that numerous contemporary forces — including the globalization of capital, the rapid movement of people, things and affects across official borders, and the growing income differentials between regions of the world — intensify pressure for pluralization within and across territorial regimes. Pluralism is also connected to other practices. For instance, drives to reduce inequality within a state today are not likely to be successful unless a positive ethos of engagement is negotiated between multiple minorities of different types. The aspirations to pluralism and equality thus speak to each other now, despite what those who treat the highly centred nation as a precondition of equality say. Under contemporary conditions, without an ethos of pluralism, the drive to equality falters as chauvinist elites use opposition to immigrants, gays, single mothers, Muslims, and atheists to turn back egalitarian pressure. Similarly, without pressure toward a more egalitarian society one support for a positive ethos of pluralism is pulled away. So pluralism and egalitarianism now set conditions of possibility for each other. The very forces noted above also make it essential for more citizens to participate periodically in cross-state citizen movements to put pressure from the inside and outside simultaneously upon states, corporations, and international organizations. That means that today, both the scope of diversity and the sites of political action have expanded. You might call that the fourth house of pluralism, as I construe it. WENMAN: The thinkers who appear to have had the deepest and most lasting impact on your thought (as it has developed since the mid-1980s) are Nietzsche, Michel Foucault, and Gilles Deleuze. Their ideas have been at the forefront of your work, and your engagement with other thinkers — for example, Rousseau, Marx, Tocqueville — has been developed through the lenses of your explicitly ‘post-Nietzschean’ perspective. This has taken you further and further away from the concerns of the mainstream in Anglo-American political thought towards an interest in the politics of becoming, embodiment, and affect. Your positive reception of these thinkers also distinguishes your work from other strands within post-structuralism, for example those who are influenced by Derrida (with or without Levinas) and/or Lacan. The ideas of Nietzsche, Foucault, and Deleuze resonate closely with one another; nevertheless there are also differences between them. Foucault was careful to avoid engaging in questions about the transcendental, while he strove to unearth the cultural and historical contingency inherent within established claims to truth and seemingly stabilized social practices. By way of contrast Deleuze has focused on the classical controversies of metaphysics, developing his own account of the fundamentals of Being, albeit one that remains intrinsically open and irreducible to the principle of identity. Could you say something about your understanding of the relationships between these thinkers? Presumably you see them as forming something like a coherent assemblage. But where do you see the critical points of tension between them? Has there been a development in your thought — perhaps over the past 7 or 8 years — away from the critical genealogy of Foucault towards Deleuze’s ‘transcendental empiricism’? CONNOLLY: I encountered Foucault first, Nietzsche second, and Deleuze third. As these engagements unfolded, I found myself focusing on sites at which each complements or corrects the others. These complementarities and corrections, of course, are filtered through my own sensibility, as it has also been affected by them. So I sometimes lose a sense of where they fade and I begin. That is why, for instance, I occasionally speak of ‘my Nietzsche’, not always worrying too much about whether I am representing his work or drawing selective sustenance from it in the interests of my project. He, of course, commended this sort of relation to his work. When I began to read Foucault in the late 1970s, my initial intention was to overcome the challenge he posed to my left Hegelianism, drawing some of his themes into a more encompassing and coherent theory. The idea, of course, was to show how he succumbed to a series of performative contradictions. That seemed to work fairly well when I engaged The Order of Things (Foucault, 1970). But it collapsed under its own weight when I read Herculin Barbin (Barbin, 1980). I then carried the shift in sensibility that began to accrue back to the first book and to The History of Sexuality (Foucault, 1979, 1986, 1988). Hearing Foucault for the first time at Dartmouth in 1980 helped. As I read Herculin Barbin, the autobiography of a 19th century hermaphrodite who committed suicide, accompanied by a series of journalistic, legal and medical reports on ‘her’ condition and a brief statement by Foucault, I experienced turmoil in my gut. That is, I sensed vaguely how my visceral understandings of normality and morality delimited my theoretical judgments. I was a carrier of judgments that contributed to a life of hell for Alex/ina, and many others too. I felt pressure to work on the images of normality, biology, ethics, freedom, and politics with which I was imbued. It soon became less a matter of convicting opposing theorists of a series of performative contradictions, more that of working tactically on the visceral sensibility that infused my orientations to ‘immanent critique’, judgment, and politics. I eventually saw how often the charge against others of a performative contradiction involves a focus on one dimension of their thought joined to other assumptions unconsciously projected into it because you have not yet conceived of alternatives to them. How many theorists in the 1980s, for instance, convicted Foucault of contradicting in theory his own practical judgments without first coming to terms with his distinctive conception of ethics? If you treat a theory as a ‘problematic’, consisting of multiple, connected elements with loose ends, remainders and paradoxes, to that extent you see how the master tool of critique advanced by rationalists and dialecticians easily devolves into a mode of self-conceit. To change a theory involves many things, including work on the visceral register of prejudgment that becomes sedimented into as us as we breathe the air, absorb the culture, encounter new events, and experience bouts of suffering, rebuke, praise, and exaltation. Foucault thus started me on a journey to challenge Kantian and neoKantian theories of morality with an ethic of cultivation, linking that to efforts to rework some affect-imbued prejudgments about biology, culture, and politics into which I had been inducted. Neuropolitics represents the latest upshot of those efforts (Connolly, 2002). Nietzsche came second. I read him to challenge a series of dispositions of judgment lodged in contemporary culture and political theory. The question was whether it was possible to draw selective sustenance from his work without committing myself to every priority he embraced. Since Foucault and Deleuze had already started this process of agonistic indebtedness, as I came to call it, it did not turn out to be that difficult, even though I still occasionally encounter critics who say that Connolly ‘says’ Nietzsche was a democrat, or that he ‘domesticates’ Nietzsche. It is fascinating how many theorists insist that you must either swallow Nietzsche whole or spit him out entirely, even though they do not bring that same insistence to readings of Augustine, Kant, Hegel, Marx, Arendt, or Rawls. To me, such an inordinate demand expresses the desire to ward off the challenge posed by Nietzsche’s fundamental ontology before you have engaged it. So I have been selective, ascertaining as I proceed whether the insights selected can be folded into a problematic he himself did not entirely share. Nietzsche’s themes of time as becoming, nobility as a positive relation between multiple nobilities, the cultural dangers of ressentiment, a pathos of distance, the spiritualization of enmity, gratitude for being in a world of becoming, tragic potentiality, becoming your own guinea pig, the place of existential affirmation in ethical life, the ‘unequal’ as difference even more than inequality, the immorality of morality, the insufficiency of both mechanical and organic conceptions of nature, and the torsion at key ‘moments’ between being and becoming have all infected me. I rework those themes to draw them into a theory of democratic pluralism, doing so because classic theories of democracy, pluralism, and morality urgently need infusions from elsewhere today. I did not turn to Deleuze until the early 1990s. I was dazzled by the way Difference and Repetition tracked and challenged the Kantian and neoKantian problematics at each critical point (Deleuze, 1994). Each time Kant encounters a flash point and resolves it in one direction, Deleuze first hovers over it like a hummingbird and then flies in a different direction. I later became fascinated with his work on capitalism, and after that, the groundbreaking work on film and time. His engagement with experimental films teaches us more about duration and time as becoming than philosophical analysis does by itself. Indeed, Deleuze mixes dramatization into analysis, showing us how new thoughts bubble into the world and helping to usher some in as he goes. If he is right about the complexity and irreducibility of the virtual/actual relation, dramatization is part of philosophy itself. In this he follows Nietzsche, who wrote in a cinematic style before the rise of film. Deleuze has not been engaged often by analytical philosophers because many have a visceral commitment to the sufficiency of analysis that is challenged by his practice. On the other hand, it is fascinating how young Anglo-American philosophers with an analytical background are effective at bringing Deleuze to a wider audience. I mean those such as James Williams, Paul Patton, Jane Bennett, Dan Smith, and Nathan Widder with several others in the wings. For, again, the kind of philosophy Deleuze practices involves delicate variations in the mix between dramatization and analysis, depending on the assignment. It takes close analysis to identify the flash points in Kant. However, when Deleuze enacts the highest purpose of philosophy as he defines it — to introduce new concepts into life during a period of heightened disequilibrium in this or that zone — experimentation and dramatization gain priority. The point of the suggestion is that we live in a world of becoming, where periods of relative equilibrium in this or that zone are periodically interrupted by those of sharp disequilibrium. When the latter occur in a zone, we may need a new concept or two to help negotiate the terrain. Their invention involves dwelling in fecund moments of duration, as layered elements from the past reverberate in a new situation, sometimes encouraging something new to surge into being. That is why Deleuze is so taken with irrational cuts, flashbacks and crystals of time in films, as well as with the work of Proust, Bergson and, of course, Nietzsche. For, as already intimated, Nietzsche reintroduced the method of dramatization into modern philosophical discourse. Sophocles was a noble predecessor in that regard. While I have paid more attention to Deleuze recently, my debt to all three is fundamental. Together they advance what I call a philosophy of immanent naturalism, placing it in contention with other philosophies of the day on the ontological, ethical, religious, and political registers. They help to set an ethic of cultivation into competition with the morality of duty; and they provide cues to follow as we enter into the live experiments upon the visceral register such an orientation suggests, both with ourselves through techniques of the self and with and others and ourselves together through micropolitics. Each plays up the visceral register of relational life while refusing to link it authoritatively to a divine injunction. Sometimes, I find Deleuze to be too reckless, and Foucault becomes a valuable corrective. Sometimes, I become frustrated by the bellicosity or aristocraticism of Nietzsche, and both Deleuze and Foucault help out. Sometimes I think that Foucault’s engagements with discipline, normalization, and surveillance, invaluable as they are, do not address sufficiently the centrality of the media in contemporary life, and Deleuze once again becomes valuable. And if you seek to place the revolution in contemporary neuroscience into closer conversation with cultural theory, all three thinkers are useful, augmented by Bergson, Proust, Merleau-Ponty and James. Above all, these three join the vision of a world of becoming replete with tragic possibility to the commendation to cultivate further that gratitude for belonging to life and the earth that already simmers in us when we are lucky. For all three are concerned about the recurrent political danger of what Nietzsche calls ressentiment, a covert resentment of the terms of existence as you yourself conceive those terms. I am a bit less drawn to Derrida and more wary of Lacan. I sense a tendency to authoritarianism or dogmatism in the latter and I pursue articulation of a more robust, dissident metaphysic than Derrida allowed. Interpretations in the 1980s and early 1990s of Nietzsche as a post-metaphysical philosopher have always seemed exaggerated to me. He is a philosopher of immanent naturalism, who challenges the Christian background of most theoretical stances in the history of the west. He also acknowledges that neither he nor his opponents has proven the philosophy embraced. That’s why he invites a ‘spiritualization of enmity’ between protagonists of different theo-metaphysical doctrines, while noting how many priests, theologians, and philosophers refuse the invitation. Perhaps I still have things to learn from Derrida and Lacan. Certainly, Derrida’s essays on white mythology, differance, violence, and friendship have touched me. I also appreciate his attempts to identify those pregnant points of ‘undecidability’. But since I emphasize the power of (what Deleuze calls) ‘passive syntheses’ that flow up into refined cogitation I suspect that we are already strongly inclined in one way or another at these very points. That is why micropolitics and macropolitics are both pertinent to the quality of democratic life, and why the drive to reach a point where we can acknowledge without resentment the deep contestability of our basic faiths too. I also see the point of the Levinasian focus on the face of the other. But as I understand him, at least, the experience of alterity is not extended sufficiently to our implication in and imbrications with nonhuman nature, perhaps because he resists the Nietzschean image of a nonhuman world set on multiple tiers of becoming to which we are joined by a thousand affinities, pressures, and dissonances. WENMAN: One of the principal motifs of your work since the early 1990s has been the notions of ‘agonistic respect’ and ‘critical responsiveness’. In Pluralism you describe these as the ‘civic virtues’ appropriate to conditions of multi-dimensional pluralism (Connolly, 2005, 126). Elsewhere, you have said that these virtues resemble an ethic of cultivation rather than a command morality, but that this is an ethic that cannot be reduced to a fixed teleology. In short, you counsel competing social forces to strive to accept contingency in order to circumvent the ever-present temptation to seek revenge against others for the precariousness of their own identity and their most fundamental beliefs. This idea is indebted to Nietzsche’ reflections on ressentiment. However, you have turned these ideas in many interesting directions and given them your own inflection. Could you say something about how you first arrived at the notion of ‘agonistic respect’? What kinds of political conflict did you have in mind? Also, how does this concept differ from contemporary liberal theories of tolerance, and of the public/private divide? At times you have intimated that the widespread dissemination of agonistic respect would be sufficient to bind the diverse moral and cultural constituencies together in contemporary societies. Is this a position you explicitly endorse? Could you perhaps answer this question with reference to the current context, which has seen a rise in the level of conflict and antagonism since 9/11, the war in Iraq, and the so-called ‘war on terror’? CONNOLLY: In Identity|Difference I sought to come to terms with how every identity, whether religious, gender, sensual, or ethnic, is defined in part against an array of differences. Not yet the register of difference as a swarm of virtual forces, but difference in its mode as the alter-identity you need to define to be. The most profound temptation of identity is to secure its self-certainty by negating, punishing, or conquering those differences that threaten its self-confidence the most by the mere fact of being in the world. Out of this living paradox, the ethos of agonistic respect emerges as a civic way to both affirm our own identities (for identity always has relational, collective dimensions), while providing presumptive space for different and sometimes contending identities to be. The dynamic in question is clear in religious engagements. But it is both present and obscured from itself in secular practice and theory. The assumption of a set of rational public principles around which a diverse set of private faiths revolve misreads much about both private and public life. For instance, Christian notions of free will, freedom, punishment, gender, marriage, sexuality, and responsibility are active in each domain in Euro-American cultures, as they also flow back and forth across the porous membranes between them. The liberal idea of tolerance is set in a public/private matrix. It assumes that secularism can be sufficient to itself, even as it quietly smuggles its own substantive views into the public realm. That is how it depresses the agonistic element of public life. Everyone, says Rawls, participates in the image of justice he advances, while particular aspects of their comprehensive views can contribute to the overlapping consensus. In fact, however, everyone, including secularists, brings this or that chunk of faith into public life with them as they engage specific issues. It is not, to me, whether we do so but how we do so. In these ways hollow secular assertions of neutrality (and allied notions) have made a partial contribution to the theocratic responses they protest against. The point is not to accept the theocratic agenda, but to revise secularism. The idea of agonism conveyed there has two sides: the disturbance it poses to constituencies that initiate these engagements and the disturbance to the others they address. Agonism as suffering and engagement. In a political relation of agonistic respect, each constituency absorbs the discomfort posed by an alter-identity that challenges some of its own commitments, as it actively contests some assumptions and priorities of the other. It brings pieces of its own articles of faith into the public realm when it is pertinent to do so, and it recoils back on itself to acknowledge without deep resentment the comparative contestability of some of its fundamental articles of faith. This is where the respect side of the agonistic relation appears. So the popular coinage of ‘agonistic democracy’ does not suffice for me. ‘Agonistic respect’ emphasizes the torsion built into the heart of the relation. People ask sometimes from whence the element of respect arrives, if I do not endorse Kantian morality. But respect can flow from multiple theistic and nontheistic sources; it is a conceit to pretend that it can only come from one source. I know Buddhists who convey profound respect for the preliminary bearings of others, even as they contest some of them without embracing Kantian or neoKantian philosophy. It is difficult to cultivate the presumption to agonistic respect and to pursue such negotiations between constituencies. And it takes at least two parties to promote such a relation. But it does not usually take heroism. It is about as difficult as it is in the teleological tradition to cultivate the virtues of community. It is just that, in my view, that latter tradition dramatically overplays the potential for consensus residing in politics. In fact, we encounter examples of agonistic respect all around us, even as we face bellicose constituencies who seek to degrade and erase those very examples. Critical responsiveness is the twin of agonistic respect. If agonistic respect speaks to relations between already established constituencies, critical responsiveness is a civic virtue to practice when a movement seeks to move an incipient identity, faith, right, or sense of the good from below the threshold of articulation, legitimacy, and justice onto those registers. ‘Incipient’ here means a pluripotential movement underway, rather than something that is implicit. Critical responsiveness speaks to the politics of becoming or pluralization, during those protean moments when it is in the middle of self-exploration and consolidation. When you are on the initiating side of becoming, your own feeling-imbued ideas and judgments often change as the movement unfolds. When you are on the receiving end you may find some sedimented judgments about nature, biology, morality, the good, rights, or the cultural limits of diversity jostled or disturbed by the new movement. By internalizing a portion of that disturbance you allow the injuries that occasioned the movement, your own assumptions about universality in one or two of the above domains, your presumptive care for the diversity of being, and your concern to redress suffering to reverberate back and forth for a time. On some occasions you may find your thinking about rights or identity loosening up in this way or that, allowing you to admit a new candidate onto the register of legitimacy, even if you yourself do not seek to exercise, say, the new right you embrace. Millions of people go through this ringer from time to time. Theorists who equate morality with the provision of sufficient criteria to resolve each issue in advance dislike the open, exploratory character of this process. They want to close down the politics of becoming in the name of morality. But in the instances under discussion overweaning confidence in universality and closure is one of the problems. Perhaps you will eventually decide that some visceral dispositions need work under new, unanticipated circumstances, or that this same register alerted you from the start to a danger that you must resist. In a world of becoming — where periods of relative stabilization in this or that zone are periodically punctuated by more active disequilibrium — theory can often point the way but not settle the issue. At such a point you try to draw presumptive care for the diversity of being and sensitivity to a new, surprising situation into collaboration. Perhaps something creative will emerge from this gestation. I do not think, however, that in a culture of robust pluralism everyone must accept the fundamental ‘contingency’ of things. That would make it less pluralistic. My theory has been interpreted this way before, though, and I must accept a portion of responsibility for that fact. I emphasize branded and sedimented contingencies as I challenge elements in philosophies of providence, extreme voluntarism, and genetic determination. But many others embrace a more fixed biology, the sufficiency of philosophical analysis, or a transcendent vision. They evince respect for others when they acknowledge the contestability of that creed in the eyes of others and enter into thoughtful, comparative engagements with them. The appreciation of contestability, not universal acceptance of contingency, sets a key condition of pluralism and pluralization. Its appreciation does not introduce mindless relativism into the world, as Straussians sometimes love to insist. For to say that a vision, faith, or philosophy is contestable is to admit that it can be challenged at numerous points, including new evidence, immanent critiques designed to press for clarifications, citations of unexpected suffering that it promotes, reference to other traditions that also make a claim upon the holder, and dramatization of loose strands of feeling and thought circulating in it that have not been heeded sensitively before. The number and variety of modes of contestation means that several traditions are apt to survive these engagements. It is also difficult to draw a definitive line in advance between acceptable and unacceptable candidates. At least previous attempts to do so have faltered. So you take these issues as they arise. The established terms of contestation may shift again when a new competitor arrives. Would the widespread dissemination of these virtues suffice to produce pluralism? The most I can say is that they would help. Extreme inequality militates against pluralism, and so it sets a condition too. What else? Well, not too many things can be put up for grabs at the same time. That is because too much public disorientation in too many zones at once is apt to foster either a breakdown or the rise of an authoritarian regime, or each in turn. A certain fragility stalks the politics of pluralism, a fragility that Foucault became alert to in his later work. Much of the time, in the countries that I know best, pressures of the day point toward consolidation and preservation at all costs. That is why many of my critiques take on those arrangements. Nonetheless, we also live in a time when the acceleration of pace, the repetition of natural disasters, state and non-state terrorism, and a simmering culture of ressentiment, aids and abets attempts through the media-state-corporate-church apparatus to foment radical change from the right. The susceptibility of panic stricken constituencies to such pressures is a key danger of our time. At its best, the balance between pluralism and pluralization invokes a public life in which not too many things are thrown up for grabs at the same time. September 11 was a big event in American life. Bigger and more ominous was the use by the Bush regime of the fear and loathing it fomented to launch the invasion and occupation of Iraq. The United States, under Bush and his corporate-evangelical-media allies, has become a very dangerous country. An attack by a rogue minority has been converted into a product called ‘Islamofascism’. The ethos of public life has been set back by the refusal to admit or care that hundreds of thousands of Iraqis have been killed, the state use of torture, the expansion of domestic surveillance, and the progressive militarization of American life. The regime first inflated the threat it loves to hate and then helped to enlarge the phenomenon it purports to fight. The Bush regime could have tried to root out Al Qaeda in Afghanistan, pushed very hard for an Israeli–Palestianian settlement, curried favourable relations with moderate Muslim regimes, consulted Muslim leaders of international stature, and opened new lines of diplomacy. This would have reduced the threat, made it unnecessary to exaggerate it, and protected the structures of open politics. I am fearful how the populace will respond to the fear and hate mongers when the next event of non-state terrorism occurs in the States. WENMAN: Since 1999 you have been developing a materialist ontology of ‘immanent naturalism’ (Connolly, 1999). This is inspired by Deleuze to a considerable degree, but also by developments in contemporary physics and biology. You invoke the term ‘naturalism’ to point to a world without divine purpose or direction, and the notion of radical immanence denies any element of transcendence from a materialist universe replete with multiple energies and protean forces. Alain Badiou has argued provocatively that Deleuze’s philosophy is ultimately a philosophy of the One, of the ‘univocity of Being’, that — despite his persistent emphasis on multiplicity — the forces that make up the Deleuzean cosmos are all ultimately ‘local intensities of the One’ (Badiou, 2000). Of course, this is a form of Cosmological unity that remains open and is essentially irreducible to the principle of identity, but nonetheless resembles the Spinozan idea of the multiple qua the actualization of substance (Spinoza, 1955). Could I ask you to reflect on the significance of Badiou’s claims for your own work? Your conception of immanence is indebted to Spinoza, and in Pluralism you elaborate the idea of the ‘pluralistic universe’ understood as a single Cosmology. Is this ultimately a form of ontological monism? Or how do you conceptualize the relationship between ontological monism and pluralism? What are the political implications of this conceptualization? CONNOLLY: I cannot respond intelligently to the question about Badiou, because I have not yet read his account of Deleuze. One suspicion is that he plays up the analytical side of Deleuze while downplaying the indispensable role of dramatization in his work. Perhaps that suspicion is unfounded. Deleuze says somewhere that philosophical monists support ethical and political pluralism while dualists support more hierarchical, national conceptions of politics. This is better treated as a tendency in my judgment than a law; there are numerous positions that do not fit these tendencies. William James, for instance, embraces a trace of transcendence while contending that the universe itself is pluralistic (James, 1909). Strong dualists often do treat their reading of the Transcendent as authoritative and commanding, calling upon us to obey unchangeable laws, tame desires and passions at odds with them, and obey fixed terms of order. Does monism support pluralism? It may point in a variety of directions. Deleuze himself projects protean, energized forces into the basic composition of the world, moving him toward what might be called protean monism. This version of monism can be specified further by calling it immanent naturalism. It is only, however, when that philosophical stance is joined to a sensibility that overcomes visceral resentment of such a world that its pluralist potential begins to sing. Creed and sensibility, here as elsewhere, are interinvolved. So, it is also possible to find dualists whose sensibilities support a mode of pluralism. I seek to render immanent naturalism as credible as possible, so that it can compete actively with the theo-philosophies currently circulating in public life. Immanent naturalism breaks with mechanical and eliminative modes of naturalism. It differs from the former in investing more vitality and volatility into the basic constituents of the world. Jane Bennett and Brian Massumi have explored this issue. It breaks with the latter by treating consciousness, ethical judgment, and artistic achievement as refined emergents in a universe of immanence. Just because thought and language have evolved from less refined modes of complexity, and still depend upon them, does not detract from their value. Such a philosophy, in fact, enlarges our appreciation of multiple affinities between us and other parts of nature. To me, it is helpful to work back and forth between leading philosophers of immanence, among whom I include Lucretius, Spinoza, Nietzsche, Foucault, and Deleuze, others who fold a large dose of immanence into their experience of transcendence, such as James, Bergson, Taylor, and Whitehead, and a growing list of scientists who stretch classic images of science by concluding that we live in a world of becoming, among whom are Ilya Prigogine, Brian Goodwin, Stephen Jay Gould, and Lynn Margulis. By a world of immanence, I mean a world of becoming in which the existing composition of actuality is exceeded by open, energized potentialities simmering in it. You can compare an immanent process, perhaps, to a stem cell just as it migrates to another zone to be fashioned into a blood, brain, or skin cell. The movement is replete with pluripotentiality but not infinite plasticity. In politics, too, the interplay is between the virtual and the actual waxes and wanes. This is what makes it possible to hover in a period of duration, allowing layers from the past to reverberate in an unexpected situation, to see if a new idea, judgment, feeling or intervention bubbles up for further tests and existential experiments. Immanent naturalism and time as becoming form two sides of the same philosophy. To a philosopher of immanence time itself is ‘out of joint’. Of course an immanent naturalist does not anchor morality in transcendent commands or universal laws generated by a consummate subject. We support an ethic of cultivation and a generous ethos of engagement between diverse constituencies. The obligations, responsibilities, and guilt we experience are treated as second-order formations infused into our characters and intersubjective relations. Sometimes they provide us with invaluable cues from which to proceed; sometimes a new, surprising encounter may press us to work upon something in those dispositions. That is why an affirmative sensibility about the most fundamental terms of human existence itself is so important to cultivate and why a culture infused with the spirit of existential revenge is so dangerous. A Kantian infused with the spirit of ressentiment could easily interpret a principle so that it commands an ugly imperative, while one with a more noble sensibility will interpret it differently. A Spinozist who has encountered too many ‘bad compositions’ may parrot the ideas of Spinoza while expressing a sensibility of resentment and punitiveness. All these things were understood by Spinoza, and there are moments in Kant, too, when he talks about the importance of tactical work on the sensible register to prepare the self to accept the moral law. The examples given above are individual, but the issue is also collective. A noble or exclusionary ethos of engagement operates on several intercoded levels in a media saturated society. These disputes between dualism and monism, and between a morality of law and an ethic of cultivation, are apt to remain with us in some form as long as human beings explore the human condition. They may have acquired another new twist, however, as work in neuroscience, biology, and evolutionary theory point toward new conceptions of nature/culture relations and breathe new life into the fecund idea of time as becoming. 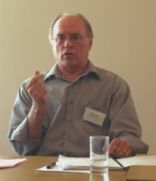 WENMAN: In your early work — most notably The Terms of Political Discourse (Connolly, 1993; original 1974) — you developed a critique of the positivist idea (characteristic of the mainstream in American Political Science) that key terms — such as ‘power’ and ‘interest’ — can be operationalized in a neutral fashion. Since that time your work has moved in many interesting directions — for example, the work on the politics of becoming, on secularism, on neuroscience, and on the politics of ‘brain-body processes’. This has taken you far away from the concerns of the mainstream discipline of political science, which has become increasingly dominated by rational choice theory. Could you discuss your perception of developments in the discipline of political science over the period of your career? Where do you see the discipline headed in the future, and do you see prospects for greater diversification in the kinds of methods that are employed within the discipline? Can recent developments in political theory be brought to bear on empirical political science? For example, do you see prospects for your own approach — of immanent naturalism — to have a wider impact on the mainstream? CONNOLLY: I started teaching political theory during a time when many behaviouralists insisted that ‘traditional’ political theory must be replaced by a new science of politics. David Easton was one leader; Robert Dahl presented a more muted version of that view. Dahl has since recanted, and he now emphasizes how complex politics is and how numerous the contingencies that shape it are. I wrote my dissertation in a predominately behaviouristic department in an attempt to crawl out from under that stone. The dissertation and the book that grew out of it were themselves more positivistic than I realized. I took another step with The Terms of Political Discourse, written under the influence of Wittgenstein, Gallie, Hampshire, and Taylor. At that time rational choice theory was making inroads in the profession. Its proponents took temporary cover when a group of philosophers, anthropologists, and theorists criticized these assumptions, only to return in a more formal guise 15 years later without, to my knowledge, really engaging those critiques. Today political science is a mixed bag. In some departments, including the one in which I work, there is considerable interplay between people in comparative, IR, American politics, and theory. In others, theory is relegated to a ghetto. To me, the way to respond is not simply to oppose political theory to a rigid image of science. It is also to engage exploratory movements in the natural sciences themselves, particularly those indissolubly linked to cultural life such as biology, evolutionary theory, and neuroscience. When I started to address neuroscience several years ago, some friends in theory worried that I was going over to the dark side, and a few associates in political science politely suggested that I was getting in over my head. I was, certainly, over my head. But that research impinges upon central issues in cultural theory, particularly on how fears, anxieties, and positive aspirations can be communicated and amplified by multimodal means operating below the most refined intellectual capacities. Neuroscientists such as Antonio Damasio welcome the interchanges between cultural theory and neuroscience. The more complex their conceptions of the body/brain/culture network become, the more they pursue engagements with contemporary theorists. Our debts to them are at least as important. There is considerable interest in these issues in literary theory, anthropology, and geography. Political theorists can cultivate relations with these fields further, working to ventilate received images of science in political science as they do so. I speak from a fortunate departmental location in saying these things, but they may make sense nonetheless. I also doubt very much that immanent naturalism will take over the discipline! But it may make inroads among some political scientists discontented with the image of science into which they have been inducted. What about the vocation of theory itself? It is fascinating how large ideas set to the side by many theorists for a few decades have now returned to the centre of attention. ‘Time’, ‘ontology’, ‘capitalism’, ‘nature’, ‘Christianity’, ‘Islam’, ‘explanation’, ‘evolution’, ‘sovereignty’, and ‘the earth’ are just a few. Of course, each idea undergoes change as it resurfaces, and it is imperative to address several together under new conditions of being. More theorists see a need to extend the spatial, spiritual, and temporal horizons of our vocation as we explore positive possibilities of being under new conditions. All these things go together. The promise of theory grows as we move through debates between advocates of positive systems and practitioners of deconstruction to contending articulations of what might be called ‘positive problematics’. A problematic consists of a series of loose connections between multiple elements, falling below a tightly structured system and above a set of discrete ideas. Most canonical theories turn out to be problematics upon investigation. They include an ontological dimension without being reducible to it. A problematic can provide guidance as you intervene in events. Its revision, in turn, can be triggered by a variety of things: criticism of it; events that surprise you; new social movements that unnerve you; loose ends that now captivate you; a strategic concept in another field; and several of these in conjunction. Its mode of being means that it is open to contestation. To the extent that more theorists come to terms without resentment with the deep contestability of contending problematics, including their own, to that extent we can simulate in intellectual life the relations of agonistic respect urgently needed in politics. The relations between political theorists and political scientists might take another step forward as well. For the first thing a political scientist resents in a theorist is the disposition of intellectual conceit. And vice versa. WENMAN: I would like to close with a question about your most recent work, where you have analysed the modalities of power characteristic of contemporary capitalism. You are interested in the affinity between economic interests and religious faith and especially the relationship between capitalism and Christianity. You explored some related issues in your early work — most notably in the Politicised Economy (Best and Connolly, 1976) — but these themes have not been prominent in your work over the past two decades. Why have you turned to these issues at this particular time? Are you concerned about the intensification of capitalist processes in the context of neo-liberal globalization, and related problems such as growing inequality and an intensification of the environmental crisis? You have said that the classical analyses of capitalism — Marx and Weber (e.g.) — are insufficient to conceptualize the current operations of capitalism, and that this requires instead new accounts of ‘emergent causality’ and of the capitalist ‘assemblage’. Could you say something about the development of these new concepts and how these differ from the classical analyses of capitalism? Also, how do you see the future development of these ideas in your new book? CONNOLLY: I turned from The Politicized Economy, written with Michael Best, to questions of identity, pluralism, the visceral register of cultural life, and a new cosmopolitanism partly because I thought that political economy is never sufficient to itself and partly because political issues of the day pressed themselves upon me. The ‘detour’ took longer than I imagined as it opened more avenues than I anticipated. I did not guess at the outset that the new neuroscience would turn out to be so pertinent. Nonetheless, I tried to keep one finger on political economy, devoting chapters in some books to the issue. In the first book, we warned that a portion of the white working class could be captured by the right unless liberals and leftists changed course. Those warnings were updated in parts of later books (e.g. ‘The Politics of Reindustrialization’, ‘Fundamentalism in America’, and ‘Democracy, Equality, Normality’).2 The more robust return occurred as the Bush regime, the evangelical movement, and neoliberalism extended and intensified an assemblage that had already been formed in America, pushing investment priorities, consumption practices, church assemblies, think-tank enunciations, media polemics, and state policies in new directions. These changes affect both the United States and the rest of the world, as each American induced financial crisis shows. After the second election of George Bush — if you can call the first installation an election — it seemed imperative to take the measure of what might be called ‘the evangelical-capitalist resonance machine’. My new book begins by placing Deleuze and Weber into conversation about the nature of capitalism, with appearances by Marx, Fred Hirsch, and others as well. I move through those discussions to explore the intrinsic volatility of capitalism, both in its ‘internal’ mechanisms and its close imbrications with nature, science, education, churches, and the news media that periodically face their own moments of disequilibrium. I resist the suggestion that a specific spirituality only played a role in the formation of northern, European capitalism and that capitalism later became ‘disembedded’. There is no such beast as a disembedded economy. The idea that there is may be part of an academic drive to protect sharp boundaries between disciplinary fields. Rather, the ethos Weber identified in early capitalism, growing in part out of relays between an emerging formation and the Calvinist tradition, differs from that propelled by the evangelical and capitalist right today as its priorities become installed in theo-economic practices. Today the right edges of evangelism and capital resonate together, with each pushing a bellicose spirituality that draws energy from complementary tendencies in the other. One discounts our responsibilities to the future of the earth by looking to its end amidst the fiery, divine punishment of nonbelievers; the other demands extreme entitlements for itself as it obscures the probable effects of its priorities upon the earth and collective future. Together they exacerbate popular resentments created by some features of late-modern life, including the growing minoritization of the world and the acceleration of pace in several zones of life. They also obscure the role that capitalism itself plays in fomenting these two effects, identifying a series of scapegoats to blame for the results. As these complementary drives resonate back and forth a machine emerges that is larger and more intense than the sum of its parts. The results become embedded in church sermons, media debates, sensual dispositions, investment priorities, electoral campaigns, consumption habits, state priorities, and the constant resonances back and forth between them. The term ‘resonance’ is thus not merely a metaphor to me. It, along with a larger family of notions, is designed to displace mechanical concepts of causality, to show how reverberations between various practices can set processes of self-amplification into motion irreducible to the triggers that launched them. That is, approximately, what I mean by emergent causality. The evangelical-capitalist resonance machine is an emergent formation. To take on this machine is difficult, because it must be countered and reversed at so many sites. But it is essential to do so. One way is to search for openings and ambiguities within its core constituencies. Another is to acknowledge the element of faith in a variety of other existential stances, including the ones you and I adopt. Another yet is to advance positive themes and strategies that speak to the contemporary condition, seeking to recapture a segment of white working and middle-class males who defected to this machine in the 1980s. The goal, not realized entirely in this study, is to chart multiple sites and modes of communication adopted by the evangelical-capitalist resonance machine to help illuminate what it would take to create a counter machine today. The democratic left, for instance, has been tone deaf to the importance of micropolitics, while the right has been engrossed in such practices. The study is one entry into intercoded practices that must be engaged in multi-disciplinary ways. Recent work in economic anthropology and economic geography is promising in that regard. New movements in theology and some churches are encouraging too. Today it is also essential to draw upon phenomenology, media analysis, and neuroscience to come to terms with how the media inflect the perceptions and dispositions embedded in investment priorities, consumption practices, foreign policy and electoral campaigns. The evangelical-capitalist machine works on all these fronts, even as it thumbs its nose at that kind of academic study. Those on the democratic left now see the need for that kind of study, but we often remain word strong and image weak. I include myself, certainly, in that judgment. WENMAN: Bill, thank you for sharing your thoughts with me on these issues, and for your exemplary contribution to political theory. I very much look forward to reading your new book. Badiou, A. (2000) Deleuze: The Clamour of Being, Minneapolis: University of Minnesota Press. Barbin, H. (1980) Herculine Barbin: Being the Recently Discovered Memoirs of a Nineteenth Century French Hermaphrodite, R. McDougall (trans. ), New York: Pantheon. Best, M. and Connolly, W.E. (1976) The Politicised Economy, Lexington: D.C. Heath. Connolly, W.E. (ed.) (1969) The Bias of Pluralism, New York: Atherton. Connolly, W.E. (1987) Politics and Ambiguity, Madison: University of Wisconsin Press. Connolly, W.E. (1991) Identity/Difference: Democratic Negotiations of Political Paradox, Ithaca and London: Cornell University Press. Connolly, W.E. (1993 [ 1974] ) The Terms of Political Discourse, 3rd edn, Oxford: Blackwell. Connolly, W.E. (1995) The Ethos of Pluralization, Minneapolis: University of Minnesota Press. Connolly, W.E. (1999) ‘Brain waves, transcendental fields and techniques of thought’, Radical Philosophy 94(March/April): 19–28. Connolly, W.E. (2002) Neuropolitics Thinking, Culture, Speed, Minneapolis and London: University of Minnesota Press. Connolly, W.E. (2005) Pluralism, Durham and London: Duke University Press. Deleuze, G. (1994 [ 1968] ) Difference and Repetition, London and New York: Continuum. Foucault, M. (1970) The Order of Things, London: Tavistock. Foucault, M. (1979) The History of Sexuality Vol. 1: An Introduction, London: Allen Lane, Penguin. Foucault, M. (1986) The History of Sexuality Vol. 2: The Use of Pleasure, Harmondsworth Middlesex: Viking. Foucault, M. (1988) The History of Sexuality Vol. 3: The Care of the Self, London: Allen Lane, Penguin. James, W. (1909) A Pluralistic Universe, London: Longmans, Green and Co.
← The Petroleum Manga, Marina Zurkow & Co.
let’s say we would like to adopt coming “to terms without resentment with the deep contestability of contending problematics, including their own, to that extent we can simulate in intellectual life the relations of agonistic respect urgently needed in politics” or his other civic-virtues, does he ever get to how we might actually go about cultivating such response-abilities? I can also tie it to something Michael said when we first communicated – we need to learn how to co-operate. I >>>>>tried<<<<<< to express it here: https://fuzzyfacial.wordpress.com/2014/08/02/pure-resistance-2/ almost a year ago. Law, as far as it merely restricts movement and rest, has nothing to do with knowledge, as far as knowledge opens an unbounded passage to understanding composition contra decomposition. One remains trapped in resisting the law and negating life in the absence of any comprehension as to the preservation of the relation of movement and rest with a body and another. Sadness operates to strengthen and confine movement and rest, keeping one shackled. The passage to freedom only arises with a disruption, an outflow from resistance and negation through joy in a minor comprehension of the movement of one’s body in relation with the movement of the earth. It dissolves the paradox of ‘what is’ and ‘what ought to’ in a flash of light. Pure resistance is not the will to power, it is the will to break through false consciousness and morality into a plane of immanence, an escape from doxa, an opening to allow knowledge to infiltrate and drain the body, the overcoming of the self as enemy, the overcoming of the drive to die (image of death). It is the realization of one’s powers (puissance) and the potentiality endowed in that. It moves you to see the irrelevance in prohibition and the importance of preserving the many multifaceted parts that form relations with the body self and the body and another. Immanence throws one flat on the earth, it strikes one once or possibly more, and when one taste the earth and feel the vibrant flow, immanence lifts one up and transfers one to a multifarious flow directing one nowhere because immanence affirms in this infinite flow, without time, without space, that the body which actualizes know composition has far more power than destruction and negation. To comprehend is to know that true freedom is within the body once one let go of the doxa of the self, laws, morality and false consciousness. It begins with resisting the self, the arrogance of one’s presumptions and the selfishness engrained in that. When one ceases to want happiness from outside, when one break that desire to posses not only physical properties but other bodies, then one taste the earth and one feel the vibrant resonance of joy captured in it. And the feeling of love overwhelms you from nowhere calmly transforming one in becoming reasonable. And yes (!) ( 😦 ) in agreement with Connolly that "[t]hose on the democratic left now see the need for that kind of study, but we often remain word strong and image weak. I include myself, certainly, in that judgment." It stresses the value of multi- and trans- disciplinary engagement or what I call surfing disciplines. It requires breaking / leaking academic disciplines! "… it is interesting to see how Deleuze stands up in defence of his argument, and how he puts into play his own Deleuzian dramatization against Alquié’s performance: being Alquié one of Deleuze’s professors at the Sorbonne, Deleuze reminds him how his personal belief in the specificity of philosophy was a belief derived from Alquié himself. Thus, if the method presented by Deleuze would be missing its philosophical application just as Alquié tries to object him, then Deleuze’s dramatic admission of his own failure would imply the collapsing of the entire philosophical institution: while it would be resembling Alquié’s own failed beliefs in the specificity of philosophy, it would be consequently revealing not only Alquié’s own failed teachings as well, but also his most hidden scientistic tendencies." The paper connects Deleuze’s concept of jurisprudence with Connolly’s idea of ‘the molecular movements of micropolitics’. In the context of the paper I would question how (the) law may address highly sensitive and personal issues such as assisted dying or assisted suicide without making categorical and hierarchical exclusions and by focussing on the singular situation and relation(s). The mentioned paper may possibly provide an example of putting the philosophy of Deleuze and Connolly into praxis. I think the issue needs further unpacking maybe stretching the idea of law beyond institutionalisation as suggested by Clare Colebrook in the above mentioned book. Paul Patton has argued that Right(s) as a concept beyond institutional expression may be understood as ‘established ways of acting or established ways of being acted toward’ (Patton 2012: 19). I am currently “thinking” about the concept Right(s) and the manner in which Rights may originate in any assemblage (arrangement) where the individual body’s capacity (puissance) to affect and to be affected are at play. This reconceptualization of rights enables a perspective that is based on the idea that rights are immanent and socially embedded. The latter component of rights illustrate different ways of ‘becomings’ that moves beyond the institutionalised image of law and the majoritarian standard as explained by Deleuze (together with Guattari). The underlying idea is to perceive rights beyond institutional expression and a supposed fixed identity (subject) in order to be able to think rights as thinking ‘life itself’ and do jurisprudence focussing on the interest of material bodies rather than the abstract formless subject of law (see Braidotti, Colebrook, & Hanafin, (2009) chapter 1). The issue of assisted dying has recently been addressed by the North Gauteng High Court in South Africa. See Stransham-Ford v Minister of Justice And Correctional Services and Others (27401/15)  ZAGPPHC 230 (4 May 2015) here: http://www.saflii.org/za/cases/ZAGPPHC/2015/230.html#.VUd2_-RGVQw.twitter.